The Gay Games are coming to Europe for the 3rd time in only 36 years and are being held in Paris 2018. Don't miss this amazing opportunity to take part in what is shaping up to be the biggest celebration of diversity in sports Europe has ever seen. 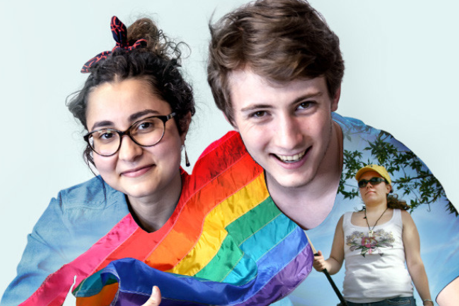 You can take part in sports and cultural events as well as having opportunities to meet LGBTIQ+ people and their allies from all over the world. This is also the first time that an official Team Scotland has taken part. We know that taking part in the Games is expensive between the registration fees, the travel and the accommodation, not to mention spending money. LEAP Sports Scotland is working hard to raise funds to support as many people as possible to attend Paris 2018. We currently have a small amount of funding available in the form of 6 bursaries of €275 each to assist participants with some of the costs. We want this funding to support those who are most in need. In exchange for a bursary, we will ask you to formally represent Team Scotland at official Paris 2018 events. Bursaries are therefore only available to those who plan to register or who have already registered with Paris 2018. Click here to apply for a bursary. We are still working on options to be able to offer further bursaries and we are likely to also create a waiting list in case further funding becomes available. The deadline for applications is Sunday 17th December 2017. Click here to register for Paris 2018. Written on 3rd November 2017.